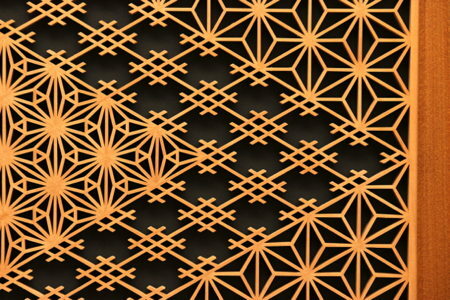 This group of diamond patterns will tend to be those with shorter interlocking pieces. Ta is the Japanese word for rice or paddy field, and the character is written 田. Ji is the word for character, so this pattern is a diamond with a shape like the "ta" character. 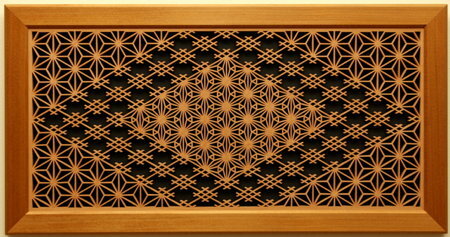 In this example, the hishi ta-no-ji pattern borders inner and outer decorative patterns (outer: asa-no-ha; inner: kawari asa-no-ha).